"You have heard that it was said, 'Love your neighbor and hate your enemy.' But I tell you, love your enemies. Pray for those people that do bad things to you. If you do this, then you will be true sons of your Father in heaven. Your Father lets the sun rise for the good people and the bad people. Your Father sends rain to people that do good and to people that do wrong." This is a powerful conclusion to the things Jesus has been teaching us. In the Kingdom Family of God, the "greater righteousness" has as its visible sign a radically different, redemptively loving commitment for those around us. As Jesus reminded us in the Beatitudes, and again challenges us here, our goal is to love our neighbor. When our desire is to act redemptively, our neighbor becomes anyone who needs the love of the Father. 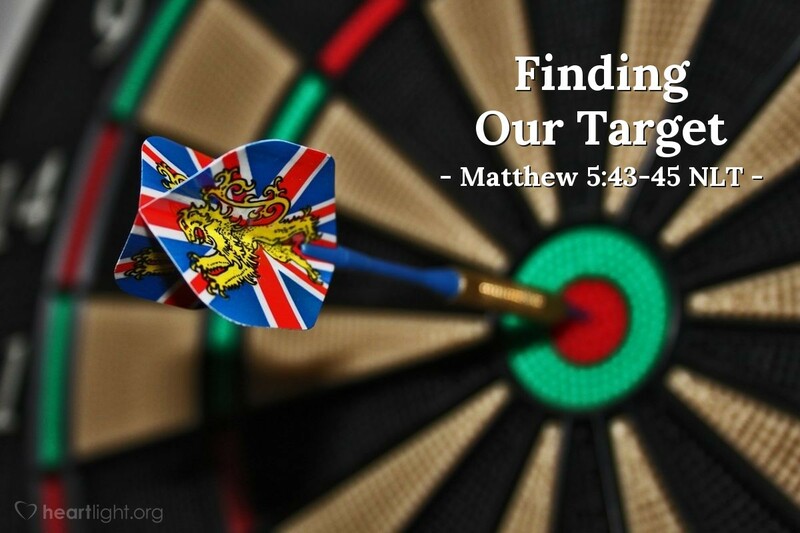 The Father—God himself—is to be our inspiration, goal, and target in this pursuit. Because God is our Father, his traits should be our traits. He loved the world and sent his Son knowing that many would reject him. Yet that love is transformational: transformational for our world, our friendships, our families, and our attitude toward our enemies. Almighty, yet compassionate Father, give me greater patience and confidence as I try to love those who are not very lovable and try to return grace to those who have enmity for me. When I do these things, I know that I am only allowing your character to come through in my life. In my quest to be like you, I do not desire your power, O Lord, for you alone are God. But I do earnestly want to take on your holy and gracious character. Work your will in my heart through your Holy Spirit. In Jesus' name. Amen.